Sometimes a new project is just what a person needs to get the creative juices flowing. 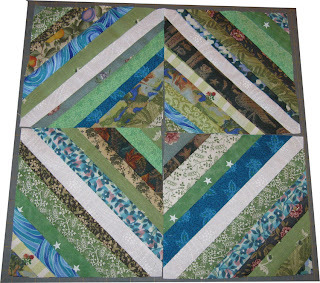 I've always been interested in the string quilts that I see out there in blogland. The only issue was that I do not keep scraps. 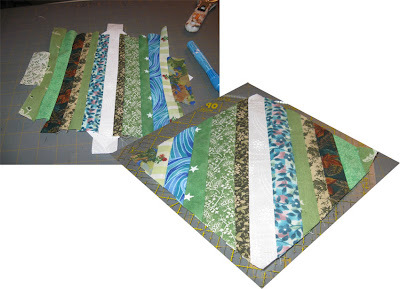 So, I actually took a few fat quarters I had in a similar color tone (green/blue) and sliced them up in 1.5, 1.25, and 1" strips. I was ok with doing this because they were all random patterns and I never could imagine a project for them. I just hope I did not cut up too many. I don't think so because I kept pulling out similar colors/patterns. Next, I determined that I wanted a solid white center on each block to form a border connecting in each square. So, I cut out 1.25 strips of white. Next, I took some art paper I had and cut out 7.5" squares. My goal is to finish with 6.5" finished squares. I used some scrapbooking glue to secure the first white strip in the center of the square. 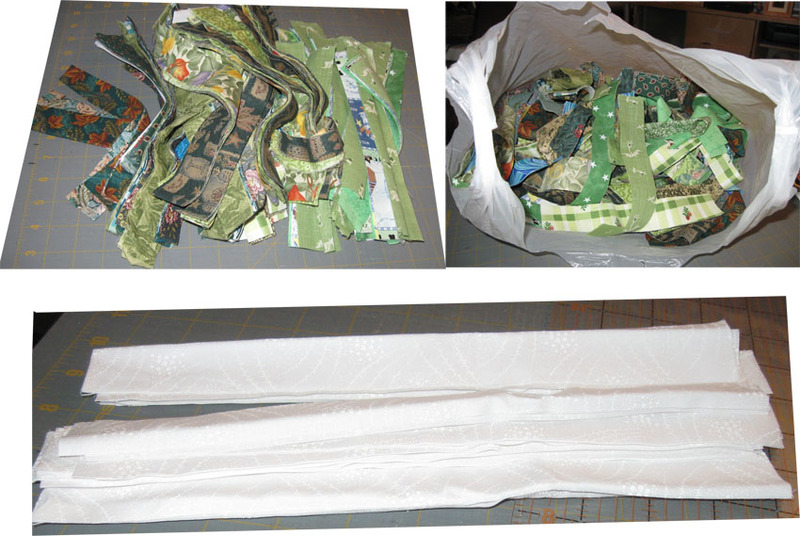 From there, I placed all the strips into a grocery bag to help me randomize my colors and sizes on the squares. 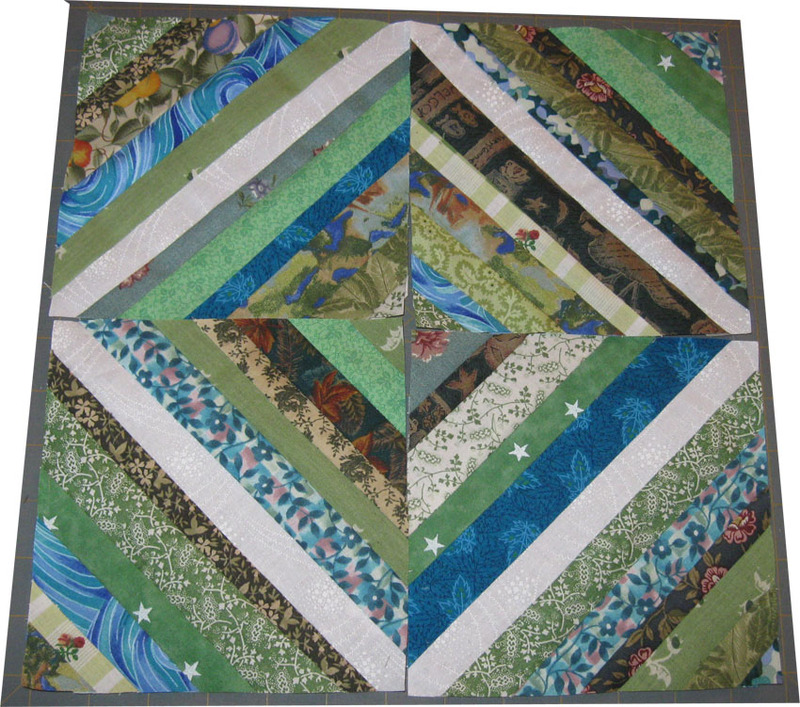 Once I got started, I loved it, They went together so fast and I couldn't stop until I had at least four squares completed so I could see the white center form a diamond. Each one was trimmed downed to size. 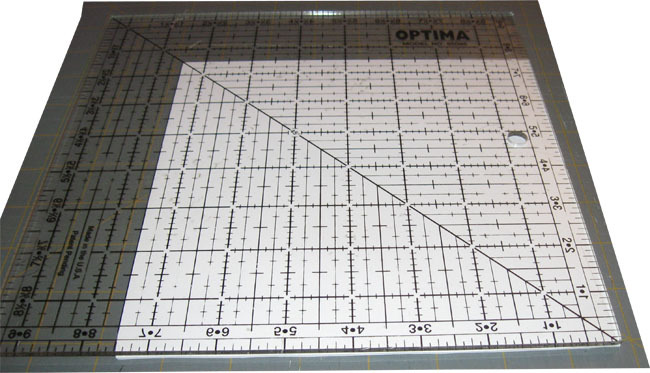 My goal is to complete 80 of these individual squares to complete a 48 x 60 size top. Beautiful! 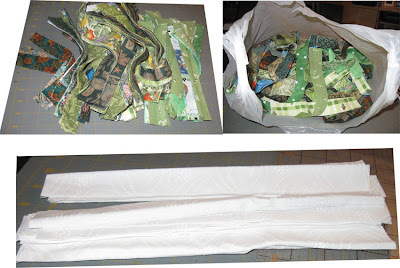 I actually can see a couple fabrics that I have my stash too - lol!